The JBV Graduate School was established in 2002, approximately six years after Jacqueline B. Vaughn, the first Black woman and elementary school teacher to head the Chicago Teachers Union, died following a bout with cancer. Ms. Vaughn was mentor to most of those who were involved in the work of getting the college started. To honor her, the mentees gave the school her name. Jacqueline B, Vaughn was a great educator and dynamic union leader. Ms. Vaughn led the nation's strongest local union for nearly a decade. Her tenacious will and iron-clad negotiation tactics garnered a number of pay raises and perks for teachers during nationally-publicized showdowns with the Chicago School Board. Ms. Vaughn outlasted four mayors and four school superintendents--a testament to her skills. "She always made us understand that teachers were to be cherished by a society that must value the education of its young. She wasn't a quitter," noted Chicago Mayor Richard M. Daley in the Chicago Tribune. The mayor called Mrs. Vaughn "a courageous and tireless champion for men and women working in our most noble profession, teaching." She had a legacy of gaining raises for the city's teachers. Mrs. Vaughn negotiated deals that raised her members' base salaries from $16,167 in 1984 to $29,147 --nearly double--for a first-year teacher with a bachelor's degree. In 1985 and 1987, Mrs. Vaughn led the city's 31,000 members into strikes in which they received wage increases. In the fall of 1987, negotiations marked the first time the union made concessions, $60 million worth, to the Board, because she felt a strike "would shut down this school system and be the decimation of the Chicago Public School system as we know it," Mrs. Vaughn said. 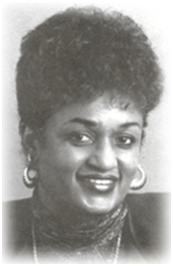 In 1989, the Illinois Federation of Teachers voted to elect Jacqueline Vaughn president. Vaughn, past president of the Chicago Teachers Union, replaced Robert M. Healey, who had been federation president since 1971. More than 600 delegates, representing 60,000 teachers and unions within the state, met at the Hyatt Regency Hotel in Chicago to elect a president and 35 vice presidents. The term for both offices was two years Vaughn, was re-elected (1991) at the organization's annual convention in St. Louis. Vaughn, of Chicago, who was on leave from the Chicago Board of Education and was the president of the Chicago teachers union, was re elected without opposition. Born July 27, 1935 in St. Louis, Mrs. Vaughn came to Chicago at age 2 after her father died. Her mother died three years later. She was raised by Mae Alice Bibbs, a teacher who insisted that Mrs. Vaughn become a teacher as well. After graduating from Chicago Teachers College, she became a teacher in 1956. She worked as a teacher for 12 years and in 1968 became union secretary. She became vice president in 1972. Jacqueline Vaughn, known for her stylish hats, confrontational style, press-ready comments, educational and union leadership is missed. Again, she died in January 1994; but her legacy lives on through the Jacqueline B. Vaughn Graduate School for Teacher Leadership. Read the full article at EdWeek here.